A seaworthy boat that will complete passages with ease and comfort with the ability to accommodate a medium sized family with additional space for guests. 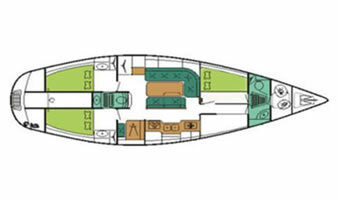 The two aft double berths have their own vanity with shared shower and head. The forward master is spacious with a separate head and shower area. The forepeak houses accommodation for crew if desired. All aspects of this yacht are generous, large storage space in the cockpit lazerettes and internal storage with numerous hanging lockers will keep the yacht clean and uncluttered. 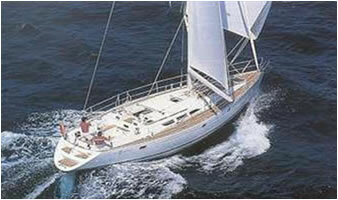 A removable aft awning will protect you from the sun and a large cockpit with table make this Jeanneau 47 very comfortable on deck.